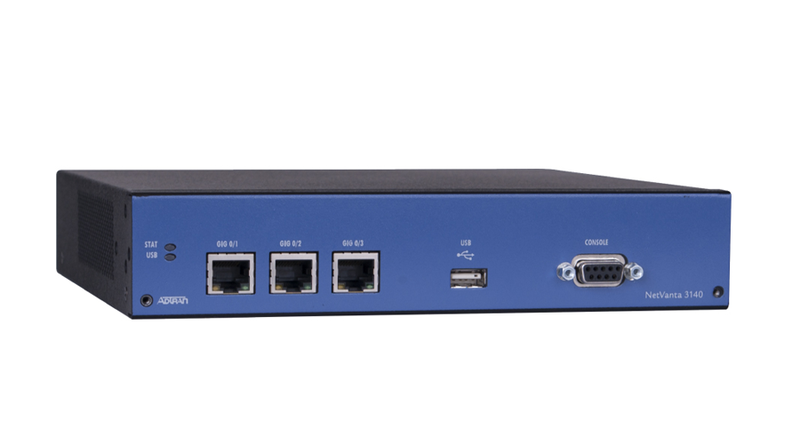 The NetVanta 3140 is a fixed-port, high-performance Ethernet router supporting converged access and high-quality voice services. It provides three routed, autosensing Gigabit Ethernet interfaces. This product is ideal for carrier-bundled service offerings, and enterprise class Internet access for secure, high-speed corporate connectivity.